Bill Mollison has stated repeatedly that the “the problem is the solution”. Buried beneath a veil that looks to human perception as a constraint, whether uncontrollable or the reverse, lies the opposite of a constraint, an opportunity. Although our global community is beset with multiple problems, if we heretofore make the effort to begin a creative process of lifting and looking deeply beneath the surface, if we as explorers and adventurers in search of essential truths, principles and methodologies that reward us, when put into action, with sound templates for restoration and resilience, we must arrive at the shores, at the edges, of understanding that we needs must implement needed changes to what has become status quo. As an example let us take a look at the overwrought concentration of carbon currently suffusing the atmosphere. “Climate change” is a topic that seemingly will not go away. Whether the over concentration of carbon in the atmosphere is caused by humans or not, it is statistically convincing. If, in fact, a constantly “growing economy” is the precursor to the “greenhouse affect”, when we take cognizance of this fact, it seems overwhelming to those that would follow its developments, almost with a sense of doom, albeit an issue that cannot be stopped. But where lies the opportunity in all this? 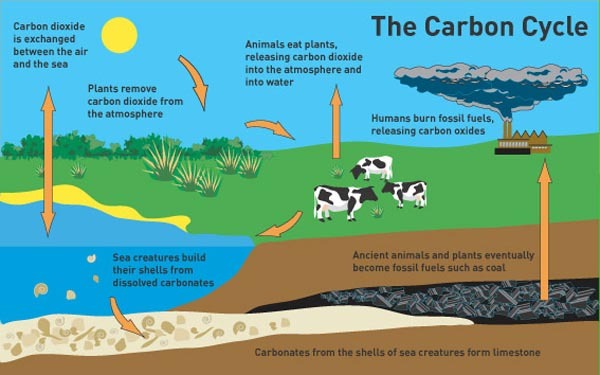 Plants, our primary producers, through a process of photosynthesis, sequester carbon and build their architecture with this carbon. It is as if plants appear out of thin air. With a bit of moisture and oxygen thrown into the mix, carbohydrates and proteins are created and embodied in green life that is our primary form of sustenance. Without plants we simply do not exist. So, here lies the problem, and here lies the solution. If one of the primary elements, carbon, that is responsible for creating our primary producers, lies just above the soil matrix in superabundance, we have the unthinkable opportunity to profoundly affect the state of the world by planting trees, and more trees, and the like. A dense plant culture can only benefit from this superabundance of raw materials floating just above their heads and ready to eat. 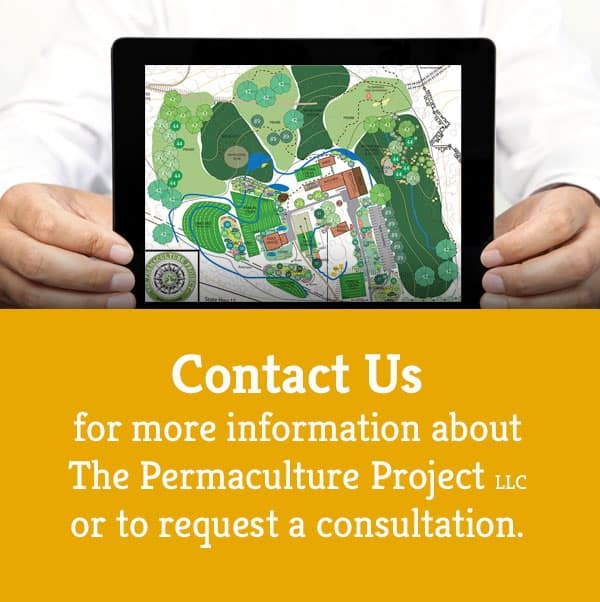 As Permaculture practitioners an essential focus, regardless of the agricultural methods that we choose, is the health and yield potential of a plant and is part and parcel predicated on the health and fertility of the soil. Although ninety-five percent of plant nutrition is absorbed from the atmosphere, the five percent taken up by roots is tantamount for not only the needs of the plant, but the mineral and carbohydrate density of the plant that we will ultimately ingest for our sustenance. In the modern era we hear endlessly about peak oil, but in reality we cannot drink fossil fuels nor would we choose to bathe in it. Peak soil is another issue altogether. The depletion of our topsoil over the past ten thousand years of tillage agriculture is a well-known fact. Is it possible to grow our food, medicine and utility and grow topsoil at the same time? The key to all of this is organic matter. But what is organic matter and how do we build up a reservoir of it? The biomass produced by plants is the key ingredient, not only in supplying food substance for plants and animals, but in producing the organic matter that builds fertility in the soil for the healthy growth of more plants. 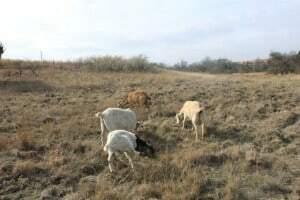 The animals that eat the plants produce rich and highly mineralized manure that adds to the buildup of soil carbon. This completes a never-ending cycle: plants-animals-humans-soil (minerals). By including all kingdoms of nature in our own agricultural and gardening regimes we complete the circle. Our focus is, of course, on fertility. There are many techniques in order to secure these natural cycles and sequester the precious carbon that is required for plant structure and growth: sheet mulch, cover and green manure crops, compost, animal production, foliar sprays, biodynamic preps, hugelkultur, et al. The intended purpose in all of this is the reincorporation of all organic materials from the “waste stream” back into the soil matrix. Just as we go through a process of digestion after ingesting foodstuffs, the soil acts as the gut of this earth. The billions of soil creatures transform biomass into a nutritious blend of vitamins, hormones and minerals for uptake by plant roots. For example: in forest ecosystems all of the leaf and woody matter that falls to the ground throughout the year is food for soil organisms. We can mimic this cyclical process by designing plant guilds and food forests into a landbase. If we include a modicum of perennials in the systems the biomass that falls to the ground year after year maintains a consistent smorgasbord of carbonaceous materials for plants, animals and humans over the long haul. One of the essential Permaculture principles if: RETURN. We human beings have the advantage of consciously intervening in our gardens and assuring that soil receives what it needs in order for us to produce health giving food, medicine and utility. In essence, all of this comes down to building up a constant nutrient cycle. As described above the nutrient cycle is what keeps biological systems in perpetual motion. Plants are the progenitors of soil. By paying attention to our plant landscapes, by providing an ongoing effort to feed the soil with a diversity of nutritious foods for our soil livestock, we deliberately reincorporate the nutrients back into the soil that have been taken out by plants, animals and humans. A nutrient cycle is the movement and exchange of organic and inorganic matter back into the production of living matter. The process is regulated by food web pathways that decompose matter into mineral nutrients. Nutrient cycles occur within ecosystems. Ecosystems are interconnected systems where matter and energy flows and is exchanged as organisms feed, digest and migrate about.